We set the gold standard for microfiber! The Gold Plush Microfiber Combo includes four plush microfiber towels that you have to feel to believe. 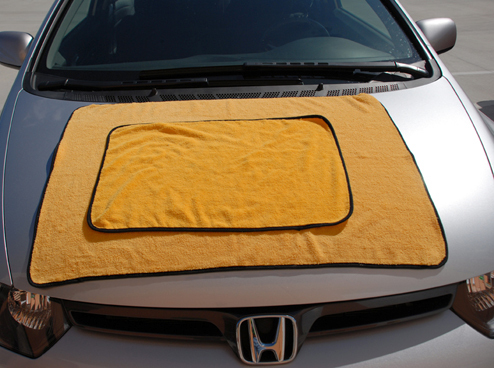 The Gold Plush and Gold Plush XL Towels are both made of luxurious 70/30 microfiber that pampers your vehicle with every touch. This combo includes four towels, two of each size. 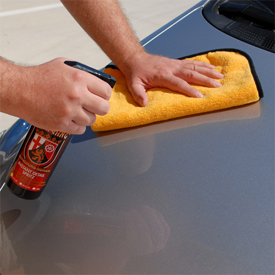 With two sizes, you can use the big Gold Plush XL Microfiber Towel for drying and reserve the regular Gold Plush Towel for buffing. Total retail value of $41.96. You save $15.97! I really like these towels. I use them for most all drying and buffing jobs. I keep them separated for specific duties and they do a great job. ConsNone that I have so far. Very plush, some of the best I have used.